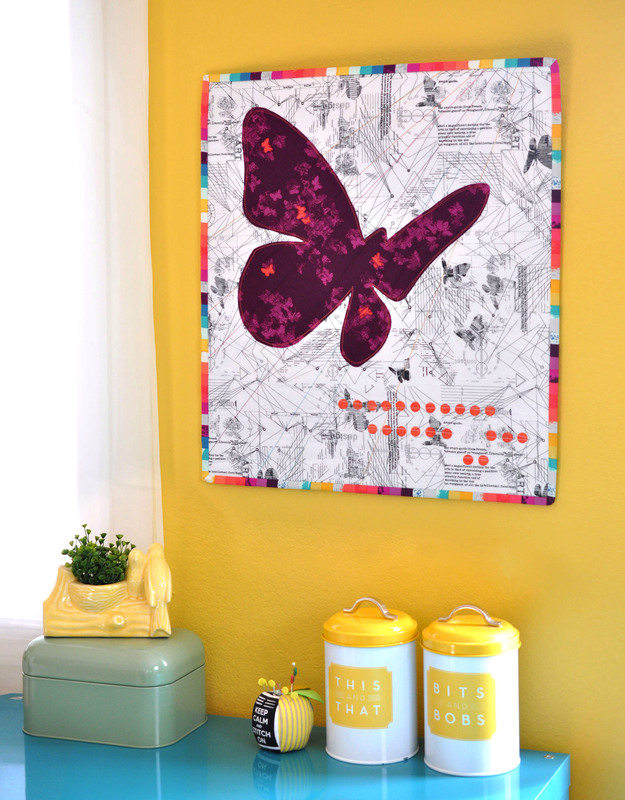 A large appliqué butterfly creates a beautiful mini quilt that is quick to sew and allows you to showcase a fun print. 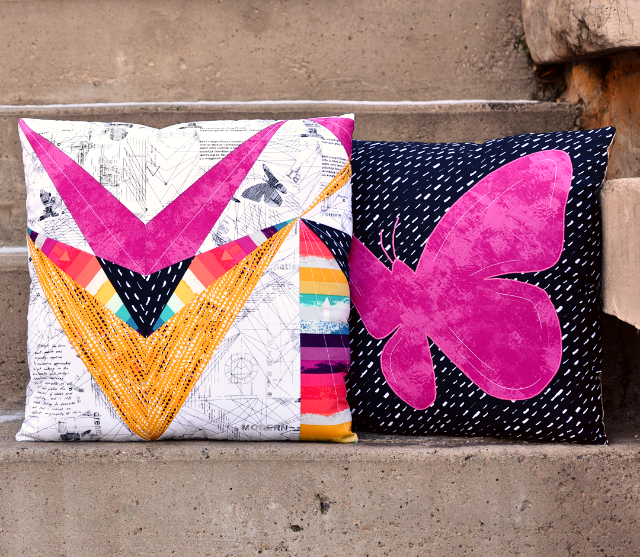 It also makes a darling pillow and can be resized to create a variety of different designs. And read more about the entire Neo Quilt series here.